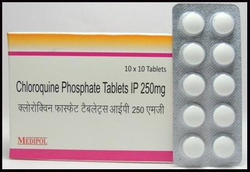 Prominent & Leading Exporter from Surat, we offer arte sunate 50mg tablets, chloroquine phosphate tablet, quinine sulphate tablet and primaquine tablet. 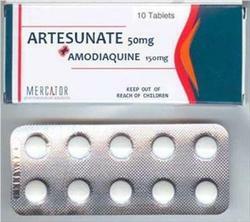 Arte sunate 50mg tablets for the treatment of Malaria and Several types of Cancers. Being the market leader in this domain, we have come up with an effective Chloroquine Phosphate tablets that is used for the treatment of less severe forms of malaria. Our offered tablets is thoroughly formulated using premium quality chemical compounds and advanced technology by our experts. Provided tablets is highly appreciated in the market for its various quality attributes. We provide this tablets to our clients in various packaging options at industry leading prices. 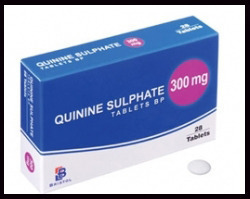 Being the market leader in this domain, we have come up with an effective Quinine Sulphate tablets that is used for the treatment of less severe forms of malaria. Our offered tablets is thoroughly formulated using premium quality chemical compounds and advanced technology by our experts. Provided tablets is highly appreciated in the market for its various quality attributes. We provide this tablets to our clients in various packaging options at industry leading prices. 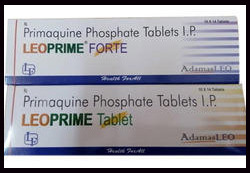 Being the market leader in this domain, we have come up with an effective Primaquine phosphatetablets that is used for the treatment of less severe forms of malaria. Our offered tablets is thoroughly formulated using premium quality chemical compounds and advanced technology by our experts. Provided tablets is highly appreciated in the market for its various quality attributes. We provide this tablets to our clients in various packaging options at industry leading prices. Looking for Antimalarial Drugs ?